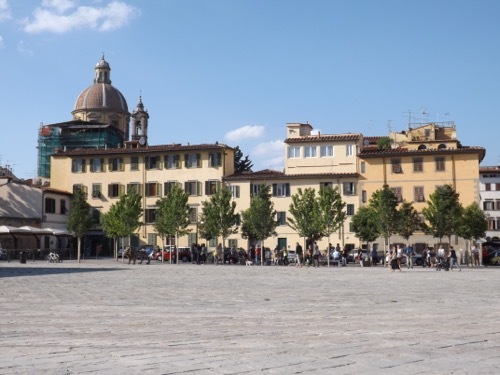 There is a new square in Oltrarno! After months of work and closure, Piazza del Carmine was inaugurated on 16 June. It is one of the historic squares of our neighborhoods. For years it has been used as a parking space, but finally the flooring has been restored using ancient stones and a small "forest" has been added with benches: a new piazza, in short! To celebrate this event, an evening with a screening of the Brancacci Chapel frescoes on the church fa�ade and music with exceptional performers: in various parts of the square chamber music groups of the Maggio Musicale Fiorentino performed in opera arias ... and also tango and jazz!